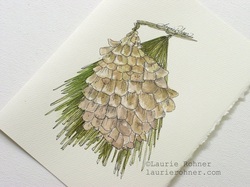 Pine Cone Nature Art Original Watercolor Woodland Pine Needles Art Card. Original watercolor pine cone nature art card, inspired by nature and natural history, use as wall art. 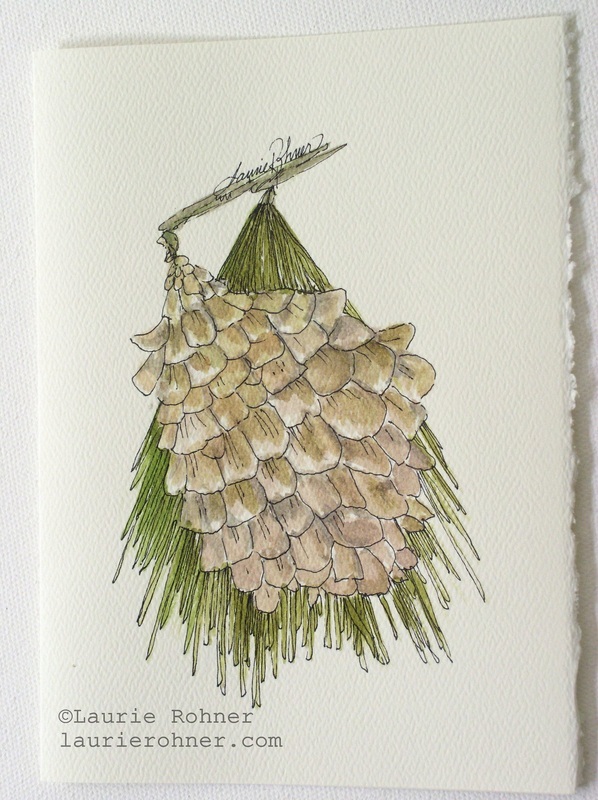 Watercolor Winter Woodland still life of found things in nature is sketched with a pencil and watercolor added to create this soft original watercolor still life. I used a pine cone and pine needles for this art card.